TC Transcontinental Packaging in partnership with an American tea company Harney & Sons has recently introduced a new 100 per cent recyclable and multilayer barrier stand-up pouch in North America. Reportedly, the completely recyclable tea pouch with a barrier is all likely to bring an innovative and sustainable product packaging to the industry. According to sources familiar with the development, TC Transcontinental Packaging collaborated with Charter NEX Films and Dow to design one of the first commercialized package for food that hits almost all notes of packaging – seal strength, EVOH barrier for product preservation, durability, and 100% recycle ready for in-store drop off. Todd Addison, VP, Business Development at TC Transcontinental Packaging, was quoted saying that the company supports and promotes innovation in flexible packaging and also encourage businesses to adopt better eco-friendly solutions. 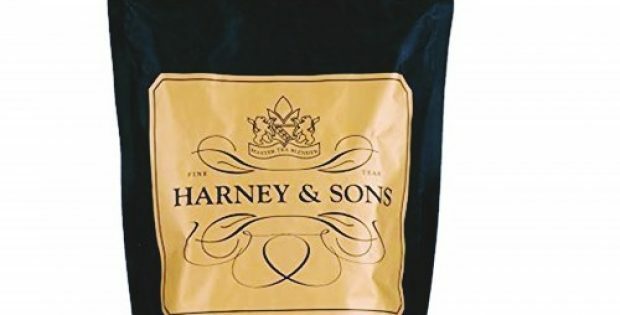 He further added that the company’s collaboration with Harney & Sons was a perfect match for this sustainable initiative and has thus reflected in its operations and partnerships. Chris Gandy, North America Market Manager, Dow Packaging & Specialty Plastics Adhesives business, also reported that the company is pleased to collaborate with companies like Charter NEX Films and TC Transcontinental Packaging to develop one of the first-in-market and complete recyclable high barrier stand-up pouch for Harney & Sons. He further revealed that the company’s comprehensive portfolio of adhesives, specialty products, and resins combined with TC’s pouching expertise and sustainability mindset allowed Harney & Sons to provide its clients with a more sustainable product. As reported by FoodinCanada, quality tea packaging requires a co-extruded and multilayer package that helps protect natural oils of the product, giving the tea leaves a smooth finish and flavor. The EVOH layer plays a crucial role in packaging as it serves as an excellent barrier to moisture, gases and organic vapors in turn helping in extending shelf life and preventing the product from deterioration. It has been reported that the major challenge with the barrier films was retaining its recyclability as the bonds do not break down easily. Dow’s RETAIN™ resin technology in this regard, however, not only solved the concern of compatibilizing the multi-layer barrier, but also allowed the film to easily attain the sustainability goals.